The glitzy and glamorous world of Dubai is never short of surprises no matter which season you are visiting the Emirate. With rock bottom prices, discounted rates for hotels, and whole new attractions to explore, Dubai continues to woo the audience each time. The months between July and August each year is probably the best time to travel to Dubai. The overall cost to travel to Dubai and enjoy a fabulous holiday is very less as compared to the peak season. There is so much to explore in this beautiful emirate such that everybody dreams to plan a trip to Dubai. Cheap is something that doesn’t feature in the dictionary of Dubai, but still, the off-season is the cheapest time to travel in Dubai, irrespective of whether it is travel, stay, food, or sightseeing. You can easily enjoy the air-conditioned environments of Dubai unless you want to explore the city. Visiting Dubai during the off-season can help you uncover more, and the overall cost to visit Dubai would be quite reasonable. We have listed some of the points that you should take note off if you are looking to explore the Emirate during the best time to travel to Dubai. Most of the renowned hotels look for renovations and redesign during the off-season. Hence it is quite natural to end up with mind-blowing deals that may be too hard to believe. Since travels consume a significant chunk of your trip, this is probably the cheapest time to travel to Dubai. However, do look out for a room that is far away from the construction area. If you polish your haggling skills a lit bit, you can end up with far better prices than what was initially offered. The slashed prices and massive discounts offered during the off-season helps you get a plan a trip to Dubai at a reasonable cost. There are still several hotels that you should avoid during the off-season as well. The attractions in Dubai are opulent to the core and oozes with elegance and charm no matter what time of the year you visit Dubai. If in case you are looking to uncover the best of Dubai on a budget, there are a lot of places that offer massive discounts during the off-season and also provide free indulgence in the Dubai off-peak season. 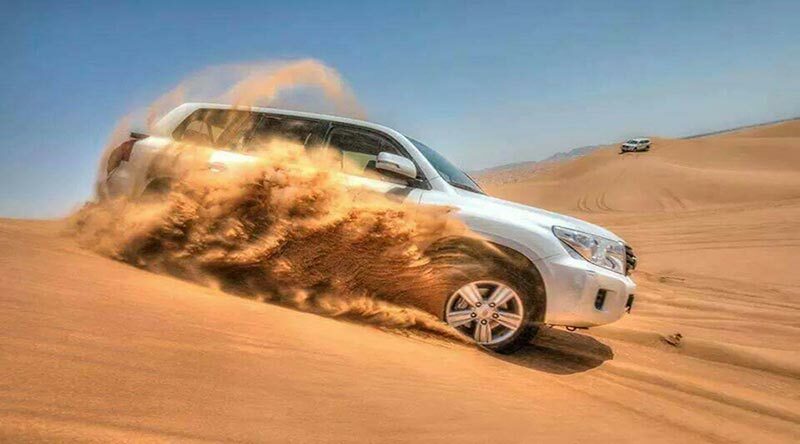 The Dubai Desert Safari plays a vital role in redefining the tourism experience in Dubai. One of the things that you should not miss out during your trip to Dubai. During the Dubai off-season months, you will come across several safari tour operators. Based on your budget, we can choose from regular, morning or overnight safari tour based on your needs and expectations. Dubai offers a fantastic lush green environment that may delight nature lovers. One of the rare places where you can uncover green, desert, ice, and water at the same time. Most of these indulgences are either free or have a nominal entrance fee for visiting them. Enjoy a BBQ picnic with your family and friends in one of these parks. 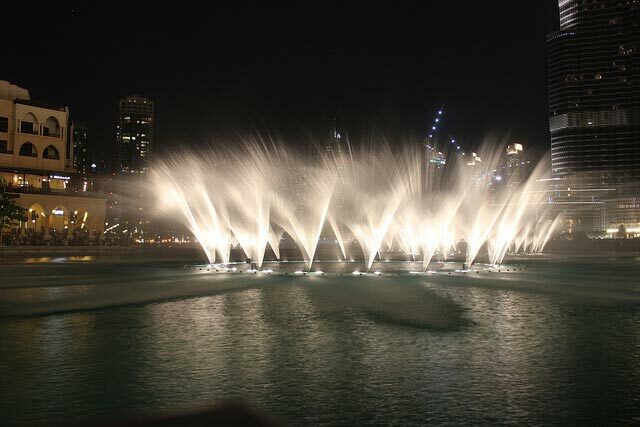 The magical Dubai Fountain shows one of the mind-blowing experiences you can ever uncover in the city. The light and sound show is unveiled to the public several times and is an entirely free indulgence. Placed in the neighborhood of the mighty Burj Khalifa and the Dubai Mall, you can cover all the three attractions together. Dubai has one of the fascinating beaches to have some fun for all the water babies. Although most of them have no entrance fee, some do charge a nominal fee. The Jumeirah Beach has no entrance fee. The beaches offer a pleasant environment for a relaxed adventure evening. Enjoy stunning views of the iconic Burj Al Arab in the background. Dubai offers you the best opportunity to pamper yourself in every style, taste, and budget. With a wide variety of treatments available across the city ranging from full body treatments to lavish facials. Indulging in a spa will help you relax and rejuvenate your senses in the hot sun and leave you pampered like never before. Every good hotel will have its own in-house spa. If in case you are not in the right hotel, guests are allowed to pamper their senses for a day in the hotel of your dreams. One of the most popular tourist activities is the Dhow Cruise Dinner in Dubai. Strolling through the Dubai Creek shores on a traditional boat, the Abra from Bur Dubai to Deira or vice versa all for just AED 1. One of the unique experiences that you should never miss out on during your trip to Dubai. The Dubai Museum gives a deep insight of the amazing transformation of Dubai from a fishing village to one of the modern decorated cities in the world. With an entrance fee of just AED 3, visitors can go through the heritage of the town and explore the Bastakiya Quarter, the heritage hub of the city. The Sheikh Mohammed Centre for Culture Understanding gives you a glimpse of the deep-rooted cultural heritage existing in the city. There are several tours arranged that offer you a better understanding of the Emirati culture and Islam. By indulging in the trip along with a delicious Arabic meal gives you more knowledge of the traditions and culture of the Arabs at a reasonable cost. Expats contribute to a significant portion of the Dubai’s population, and many of them head back home during the Dubai off-peak season. As the temperature soars, the expats take full advantage of the break. Thereby, leaving the attractions, hotels, beaches, and lush green environments all by yourself to explore. A lesser crowd means a better opportunity to explore. A perfect chance to indulge in some exotic indulgences. Take the time post-sunset to explore the beautiful city life of Dubai that will make you often wonder why the people often skipped the town. For More Information related to Things to Do with Family In Dubai Visit Here. The heat can become intolerable for visitors and tourists who are visiting Dubai for the first time and at times too hard for experienced visitors as well. The off-season months are probably the best time to visit Dubai 2018. 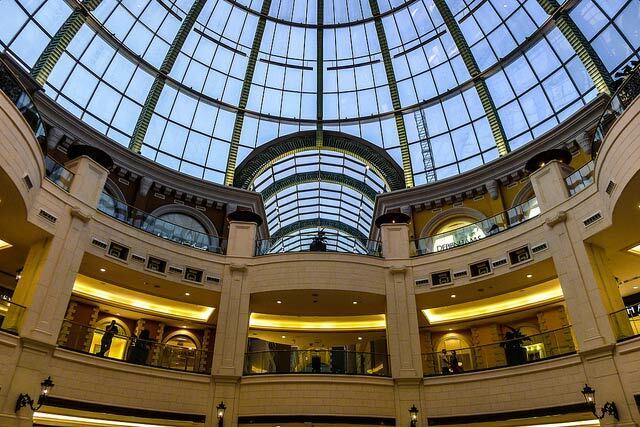 The air-conditioned malls of Dubai not only help you beat the heat, but it also offers you several entertainment options to spend the entire day with your family. There is so best time for shopping in Dubai as it is a shopper’s paradise welcoming tourists and visitors all-round the year in both the high and low season in Dubai. Even though the limelight is the shopping festival held in January each year, the summer season brings plenty of reasons for shoppers to indulge in their favorite pastime, shopping. The Dubai Shopping Summer Surprises offers plenty of fabulous discounts and promotions for the tourists and visitors. This shopping festival runs for about 45 days from the mid of July each year and provides a wide variety of participating outlets. Flexibility remains the key for traveling outside the peak tourist season to take full control of the great discounts on offer. This would help you save significant cost savings that include hotels, attractions, travel, and much more. Be careful of making a booking time during the summer season as the temperatures can roar up to 50 degrees Celsius. Do avoid planning a trip to Dubai if the dates fall in between prestigious events like the Dubai Shopping Festival, Dubai Tennis Open Championship, and the Dubai Rugby Sevens. The hotel rates and tourist passes are at an all-time high. Make a smart decision and be an intelligent traveler by following essential tips that will help you uncover the best of this beautiful Emirate. If you felt that visiting Dubai would cost you a fortune, think again! The cost to travel to Dubai is well within reach. The stylish attractions of Dubai offer an ambiance and charm like never before. Each time you visit them, you feel something different. Iconic and recent attractions provide incredible deals that would altogether cost you a fortune. Plan your trip well in advance while checking the tourism calendar as many attractions are either open during fixed hours or are closed during the off-season.